Canton is an underrated jewel of Ohio – a city that we can’t help but boast about when we travel outside of the state, saying it’s the “Home of the Football Hall of Fame.” Though Cleveland – just 40 miles away and home to the Rock and Roll Hall of Fame and multiple sports teams – often overshadows the attractions that Canton has to offer, it’s undeniable that Northeast Ohioans feel a sense of pride when talking about Canton. 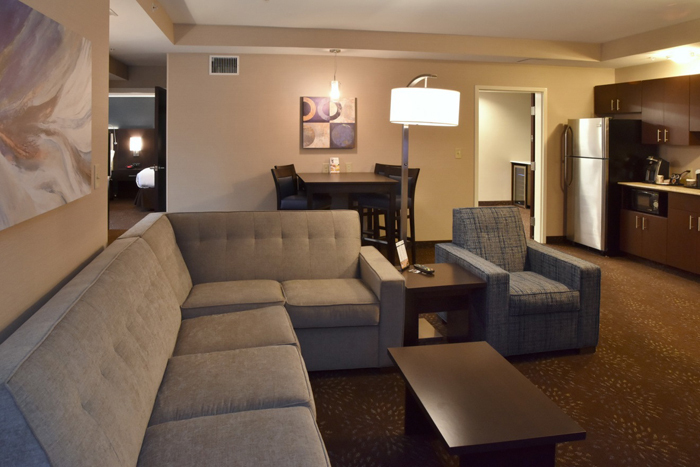 And now, visitors can too, as the Canton Holiday Inn has created a home away from home. 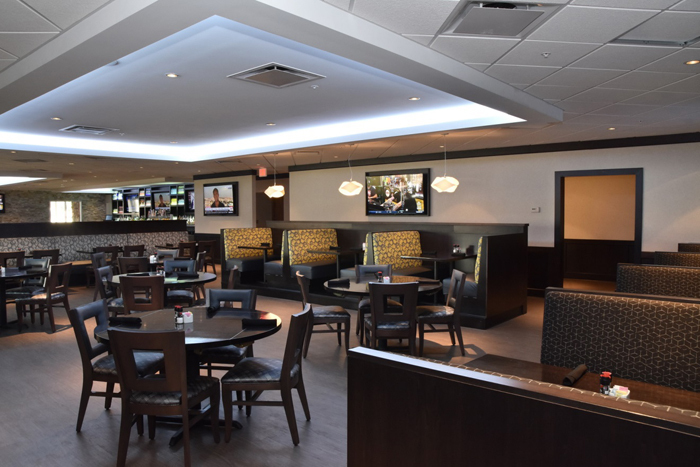 With a brand new restaurant in their freshly renovated lobby called Twenty/20, a heated indoor pool, a fitness center, refrigerator and microwave in each room, and suites available that are bigger than my apartment, guests never have to leave their rooms! Although, with the Belden Village Mall right across the street, multiple chain and local restaurants nearby, and local attractions like the Football Hall of Fame, Amish Country, Laser Quest, Center Ice Sports Complex, Skymax Trampoline Arena, North Canton Skating, and Palace Theater, guests are right in the heart of entertainment, food, and shopping. What else do you need for a good stay? Well, excellent guest service never hurts. One guests raves that the staff was courteous and accommodating saying, “To me that makes a difference; when the people are nice it makes your stay enjoyable.” Another was pleasantly surprised to receive a welcome bag in her room, and many assure future guests that even though they stayed during the renovation, the staff was friendly and accommodating, and their stay was enjoyable. With the recent Cavaliers victory, the Republican National Convention, and the annual Football Hall of Fame enshrinement, Canton is expected to become a more popular destination for tourists. With the newly remodeled Holiday Inn, they’ll have a beautiful, comfortable, and convenient place to stay.